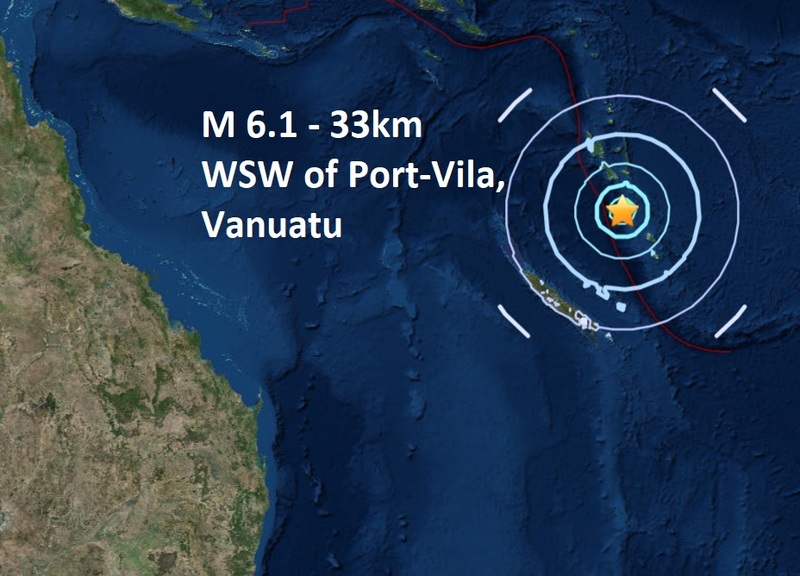 After an incredible 35 days, we have a major quake (mag 6+), a magnitude 6.1 - 33km WSW of Port-Vila, Vanuatu is the first major quake of June and the 44th of 2018. A mag 6.1 hit Japan last week but was downgraded to a mag 5.5 by USGS. I can't remember such a long period between major quakes in my 10 years of blogging. Last year, 2017, was the lowest total of major quakes this century with 111 recorded but this year could be even less. Major quakes have been increasing at an incredible rate since 1900 but for some reason, the last three years have seen a remarkable decrease as to why? I have no idea.